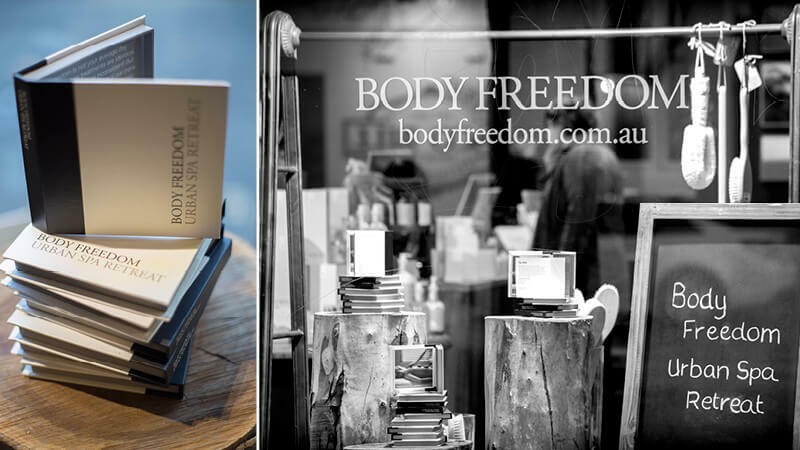 Body Freedom is housed in a lovely 3 storey, 1850’s refurbished hosiery mill property which adds to the Day Spa experience. The interior is warm, traditional yet with a contemporary edge. Our rooms are generous in size with open fireplaces, high ceilings and boast comfortable showers, treatment rooms and soundproofing. We aren’t your average run of the mill Day Spa and no two treatments are the same. This is due to our commitment to provide you with personal and customised service. Each treatment is tailored to suit your needs and exceed your expectations. For massage, we consider all aspects of how you are feeling, muscular tension, injuries and tailor the treatment for you. For facials we analyse your skin type, history, and concerns before we develop a treatment plan for you that day. Once we have consulted and discussed the treatment plan, then it is your time to relax. We do not talk during the treatment as this is your time to relax…. We understand that a Day Spa treatment is all about relaxation and feeling refreshed. 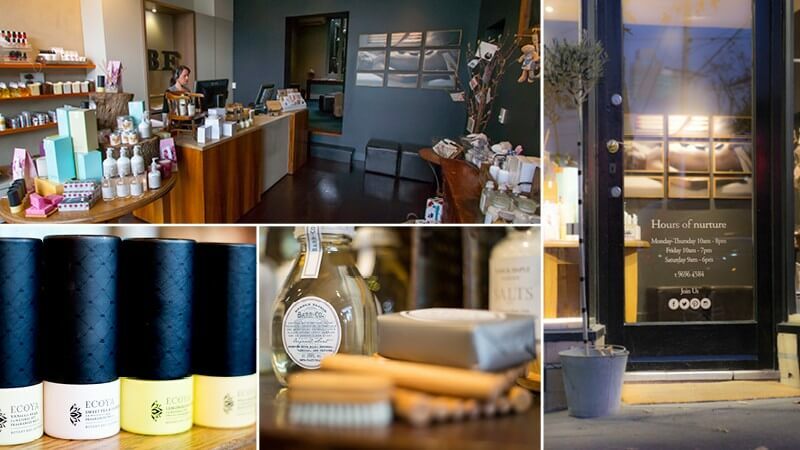 We offer therapists from 16 specialty areas and we also offer specialist products sourced from brands who have environmental and organic benefits in mind and get results. Our treatments are popular with men and women from all age groups. In fact over 35% of our clients are men and that is lowered by the great following we have for pregnancy massage. 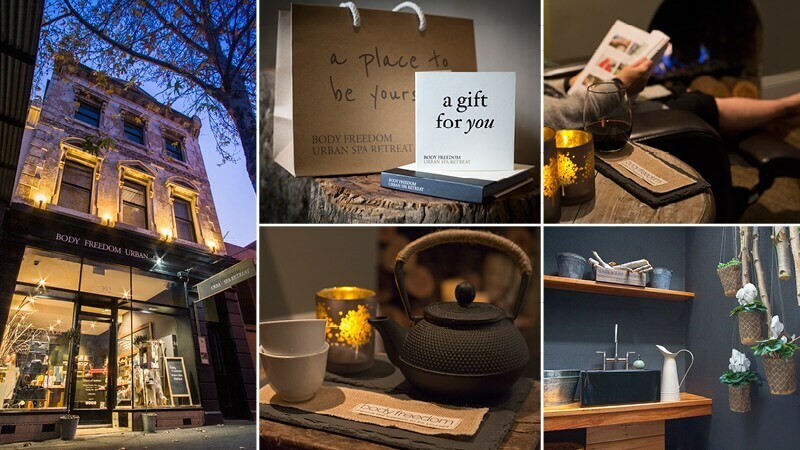 Body Freedom serves up a 5 star experience similar to a top level restaurant that is known for amazing food and an eclectic environment and without waiter attitude… that is us! And we pride ourselves in delivering personal and tailored treatments, no stock standard massage routine that is tedious and used on every client.. that is not us. Our staff are here to help you relax. We have 10 treatment rooms over 4 storeys of the refurbished hosiery mill. Some have open fireplaces, so are warm and cosy for the cooler months, however all have cooling for the warmer months. 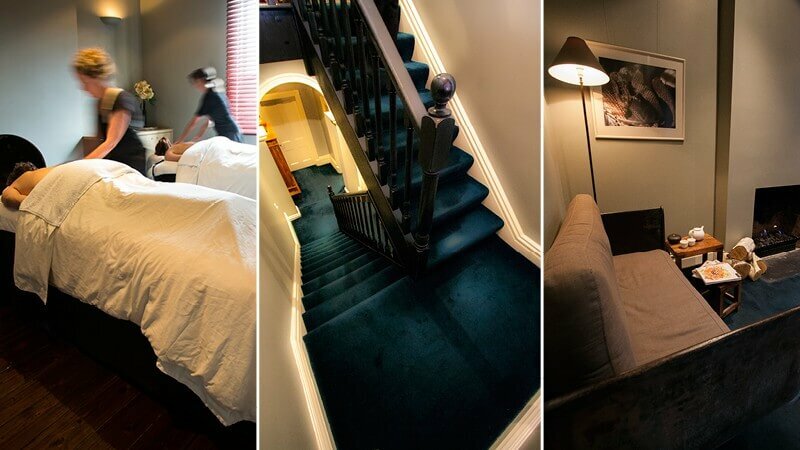 Most treatment rooms are up or down stairs, so if stairs are an issue we do have a room on the ground floor. For groups, we have a wonderful lounge space that can be set up with champagne and platters. We can cater for up to 20 people with 10 people having treatments at a time while the rest chill with a drink and food. 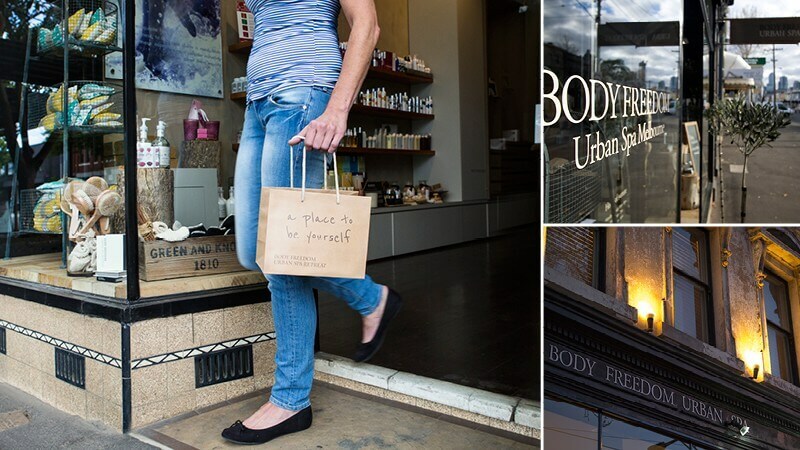 Body Freedom is located on vibrant Clarendon Street in South Melbourne, a stone’s throw from Albert Park Lake. We are just down the road from the Crown Entertainment precinct and can be reached via the number 1 or number 12 tram which stops right at our doorstep. 2 hour parking is also available in nearby Napier Street and we can suggest alternative parking also for longer packages. Please ask us about this upon booking.